Connecting to download.moodle.org (download.moodle.org)|104.20.218.25|:443... connected. 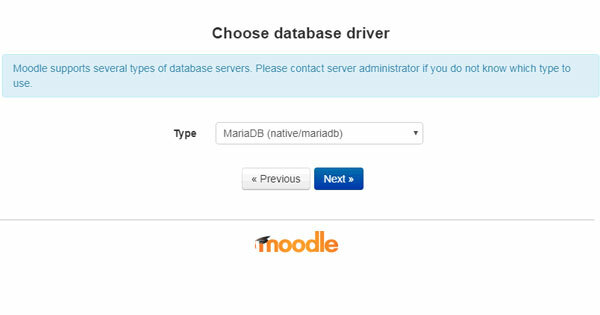 Before you create a new moodle database, you will need to modify the default MariaDB configuration file. Moodle requires that you change the default storage engine to innodb and change the default file format to Barracuda. You will also need to set innodb_file_per_table in order for Barracuda to work properly. Don’t forget to replace ‘PASSWORD‘ with an actual strong password. 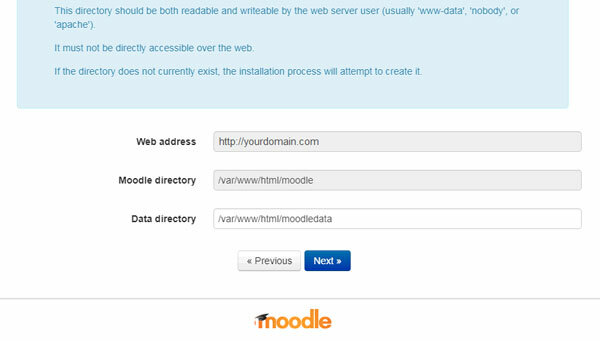 If the DNS records are properly configured, and your domain is pointed to your server, you can use it to access your Moodle installation by typing http://yourdomain.com in your browser and choose the preferred language to continue with the installation. Verify that all Moodle directory paths are correct and click on Next. 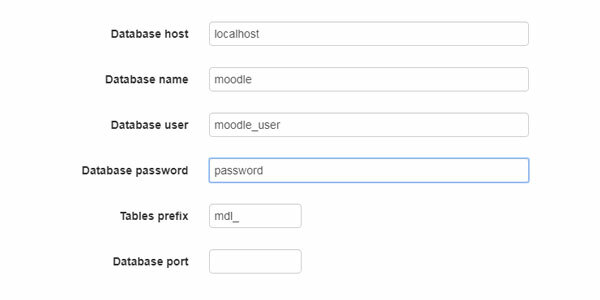 Enter the database name, username, and password of the moodle database we have created earlier. Follow the on-screen instructions to finish the installation. 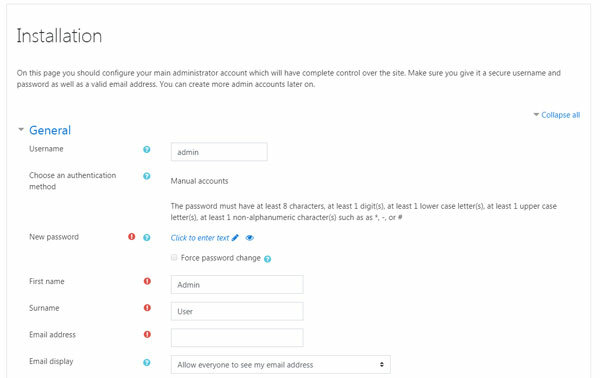 In the end, you should see the following screen where you need to configure your main administrator account. Congratulations! You have now successfully installed Moodle on your server. 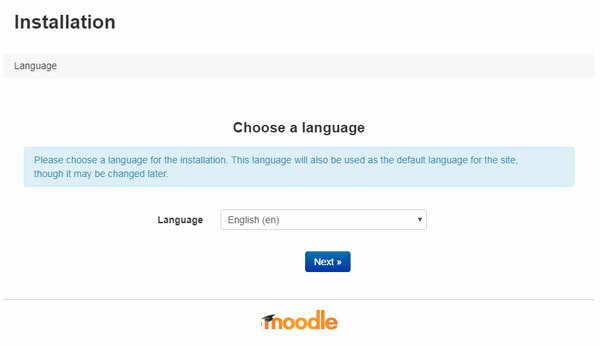 For more information on how to configure and use Moodle, you can check their official documentation. 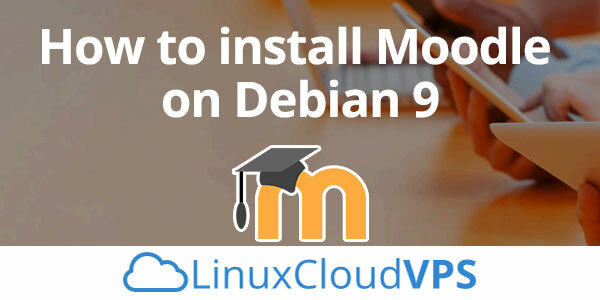 Of course, you don’t have to install Moodle on Debian 9, if you use one of our Managed Debian Cloud Hosting services, in which case you can simply ask our expert system administrators to install Moodle on Debian 9 for you. They are available 24×7 and will take care of your request immediately. PS. If you liked this post, on how to install Moodle on Debian 9, please share it with your friends on the social networks using the buttons below or simply leave a comment in the comments section. Thanks. Thanks, the errors have been corrected.